If you’re coming to Canterbury Food & Drink Festival for some Kent Green Hop Beers this weekend here’s what to expect and a few details to help you find us. 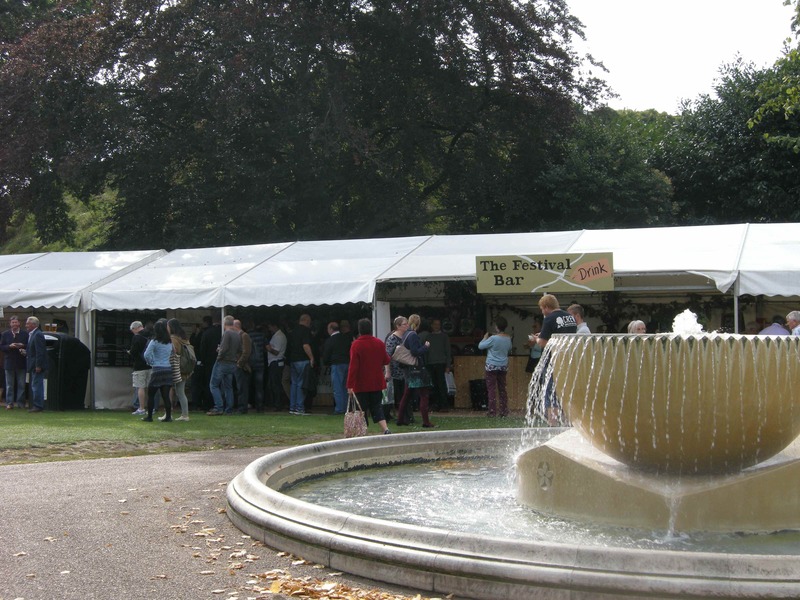 The food and drink festival is in Dane John Gardens which is close to Canterbury East train station. 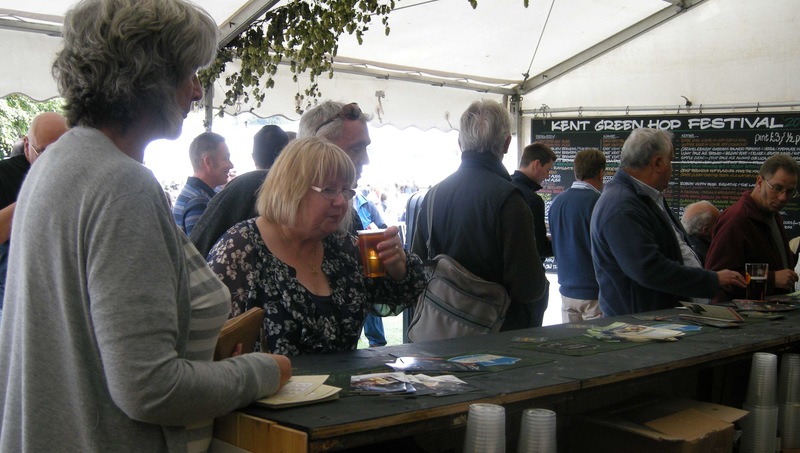 We do NOT have a Kent Green Hop Beer tent this year but we are easy to find. We are next to the main festival bar, which is between the bandstand and the fountain/water feature – but closer to the water feature. The festival is a DAYTIME ONLY event. Opening hours are 10 am – 6pm on Friday and Saturday and 10 am – 5 pm on Sunday. Please note we will have to call last orders in good time for people to drink up before the festival closes. So get here early to avoid disappointment! 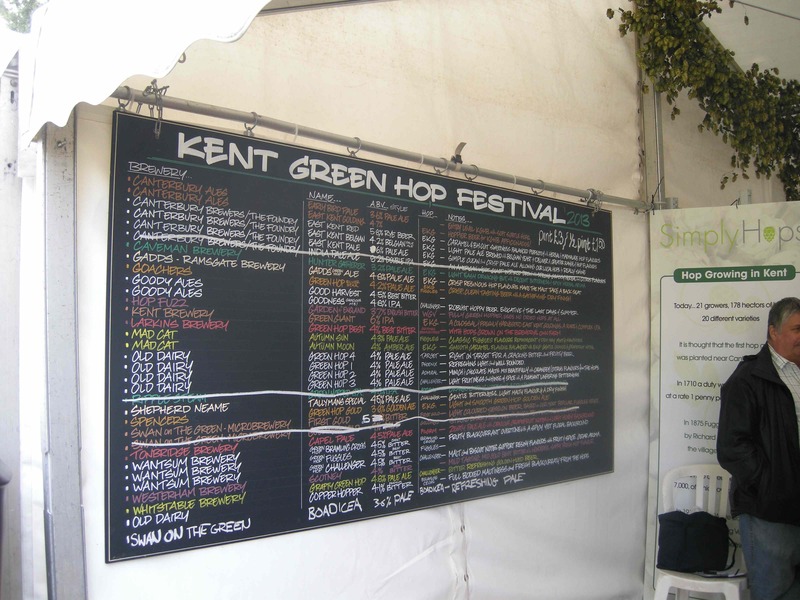 The Kent Green Hop Beer blackboard! Finally… the beers are tasting AMAZING … so don’t miss out. Come to Canterbury for some of the freshest seasonal beer you’ll ever have.